Is this Oprah interview with Lance Armstrong a chance for the disgraced cyclist to publicly recognize his numerous wrongs, and seek forgiveness from his fans, or is it just another narcissistic attempt from someone who is backed in a corner trying to shift gears in the hopes rebooting his career? 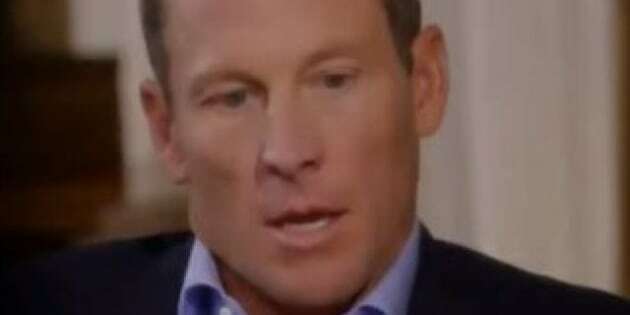 Is this Oprah interview with Lance Armstrong a chance for the disgraced cyclist to publicly recognize his numerous wrongs, and seek forgiveness from his fans, associates and sponsors or is it just another narcissistic attempt from someone who is backed in a corner trying to shift gears in the hopes rebooting his career? The alluring spotlight of a televised confessional isn't new. A whole generation of viewers (myself included) sat through the afternoon ritual of the hour-long chat show with salacious details skillfully needled out by those at the pulpit of popular television including Phil Donohue, Sally Jesse Raphael and Jenny Jones. We watched their guests, most often, everyday folk airing out their personal (and often dirty) laundry in front of a packed audience and everyone else beyond the studio lights. There would be public declarations of infidelity, broken hearts, love, hate, and stories of survival and tales of destruction. Mysteries were solved (buoyed by Maury Povich's inimitable talent of unearthing baby daddies across America) and muscles were flexed (Hello, flying chair from Jerry Springer, meet Geraldo's nose) -- cue the commercials from our sponsors. At dusk the prime-time world wakes up. Rows of chairs, screaming matches and insults are replaced with hushed voices, a comfy sofa and softer lighting. There's no audience. Now it's just two people: the A-Lister and the interviewer. The softer, gentler confessional. All part of the natural order of celebrity-dom. Pay your penance via the public airwaves. Life Story Project is a Canadian documentary-style program, on OWN (Oprah Winfrey Network) Canada where men's expert and psychotherapist Dale Curd and relationship coach and expert, Andrea Syrtash invite people on the street to share with them their own personal stories ranging from love, heartbreak, forgiveness and gratitude. Complete strangers take their seat on a purple couch, which is set not in a studio but in public, either in the middle of a park, along a bustling boardwalk or in a prime spot in a public square. There aren't any studio lights, an "applause sign" or an audience. It's just two people talking. Strangers confiding in strangers. And it's absolutely riveting. They are often just passers-by whose curiosities are piqued by the site of a friendly face and a place to sit. They know they are being filmed but the camera is often over 40 feet away so that's quickly brushed aside allowing the subject to relax and slowly let themselves as Andrea calls it, "expose their truth." Their chats, which often stretches out to an hour, has the subject leaving with new revelations, a sense of calm and affirmations of their own truths. It's not surprising. We all know it's easier to confide in strangers than in friends, as there isn't that emotional bond, the personal connection and the risk of being judged. "The people closest to us, has the greatest potential to wound us. Talking to a stranger is easier that way because it's like a cleansing." Dale explains, "A 'confession' has emotional energy attached to it. Every human being gets to their own threshold and when they pass that threshold, they don't want to hold on to this information any longer and need to talk to somebody about it." And that's exactly why such personal stories are gently and organically shared by these everyday people who literally stumble upon the purple couch while running an errand, on their way to pick up their kids from soccer practice or on a lunch break from their office. It's a welcome, unexpected chance for them to unload. As the name declares, this isn't a reality show but is indeed a project. Because more often than not, the process often continues after the cameras turn off. "We don't see it as a destination," Andrea notes. "People have gone through a great process to get to the point where they can expose their truth. They still go on that journey when they leave the couch." Both Dale and Andrea continue to keep in touch with all of those that they have met, often noting that the sofa serves as some sort of unique catalyst to a much deeper realization for the subject. The documentary feel is by no means an accident. Life Story Project is helmed by a master class team who all come from a documentary background and therefore adds that element of realness to it. Just as you would hear a conversation at a coffee shop, in this setting, you see human interaction at personal level that usually is shut off to the world, and usually in a reserved space behind the doors of a private therapy session. The public platform that this project provides is a forum of service that is warmly welcomed by the subject. "Even when people take off their mics, they always said 'I hope it helps someone'. It wasn't about 'me me me,'" says Andrea. And people want to share. Dale and Andrea often end up chatting with between 13 to 18 people a day (each) with some conversations lasting an hour. Stories are being told. Burdens are being lifted and hearts being lightened. In their latest episode "Secrets, Lies & Confessions" Dale and Andrea talk to people about lying, the risk of disclosure and the art of the half-truth also lovingly known as the (little) white lie. And if you have told a white (or black) lie or two, you aren't alone. The half-hour episode was filled with uninterrupted glances into human nature, with people talking about lies and truths that they have heard, told or (in some cases recently) discovered. A wide spectrum of revelations including a wife telling her husband of a forgotten kiss by a co-worker at a business convention years ago, to a woman's journey of being misdiagnosed leading to years of living under the false cloud of a debilitating disease. It was shocking and soul-stirring. So is there such a thing as a white lie? A lie that doesn't hurt the other? Andrea notes that when it comes to telling one vs. disclosing the truth, you have to think about it in terms of its cost vs. benefit. What's the cost vs. benefit if you tell the truth? Dale notes sometimes a lie can be a way of protecting our psyche. Using the "denial" phase of the grieving process as an example, Dale explains that phase is a way of you protecting your psyche as "it's not yet ready to handle the emotional impact." So as I watch Lance (and I know you'll be watching too, don't deny it), I'll continue to remember my conversation with Dale and Andrea as well as measure the sharp contrast between this high profile loudly trumpeted televised two-part tell-all vs. the quiet revelations that took place between two people on that purple couch in the middle of the park. The story-telling technique is clear to me: one is undoubtedly American while the other is truly Canadian.